As usual, here's a couple of photos on Konrad's book. 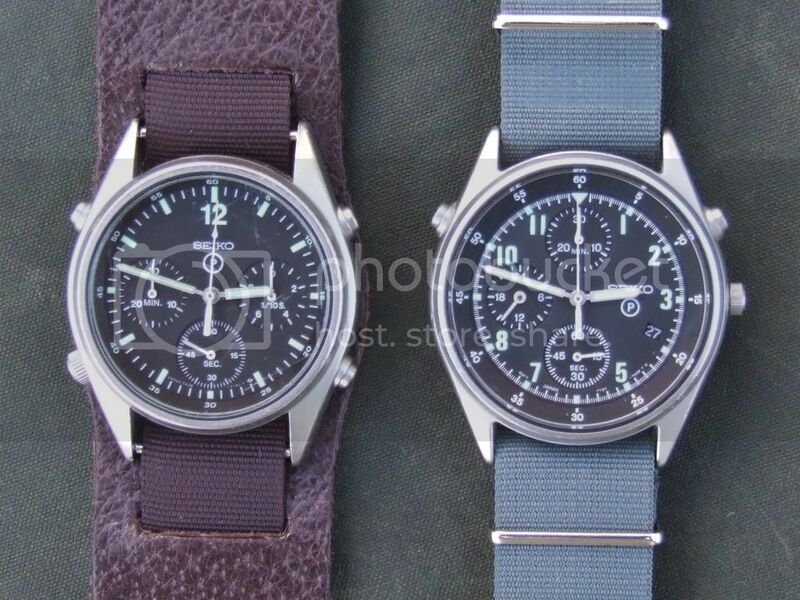 Both watches are from their first year of production, the Gen' 1 from '84 and the Gen' 2 from '93. They have seen some action judging by their pleasant patina - the 2 has a new crystal but I shall probably leave the 1 as it is. 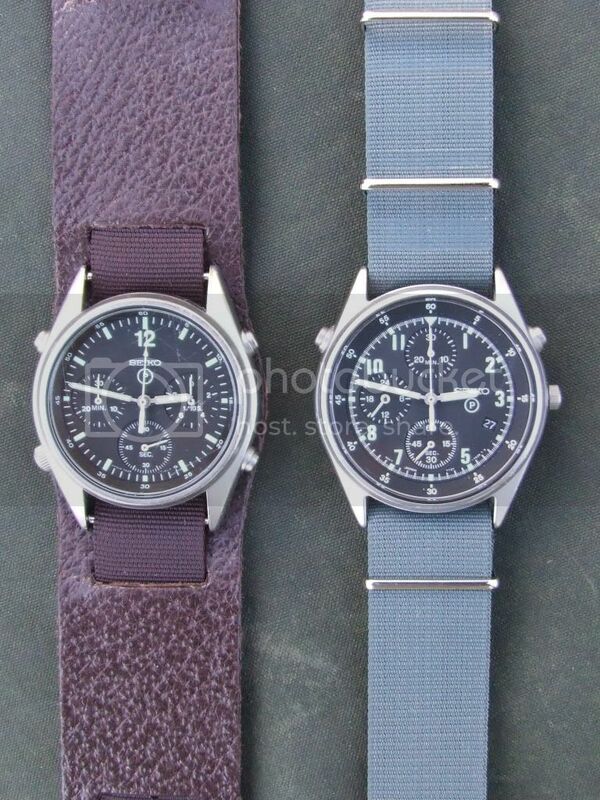 I tend to wear the 1 on a grey Nato as well, rather than the brown bund but I like to have the "correct" straps for my watches. Very nice indeed. 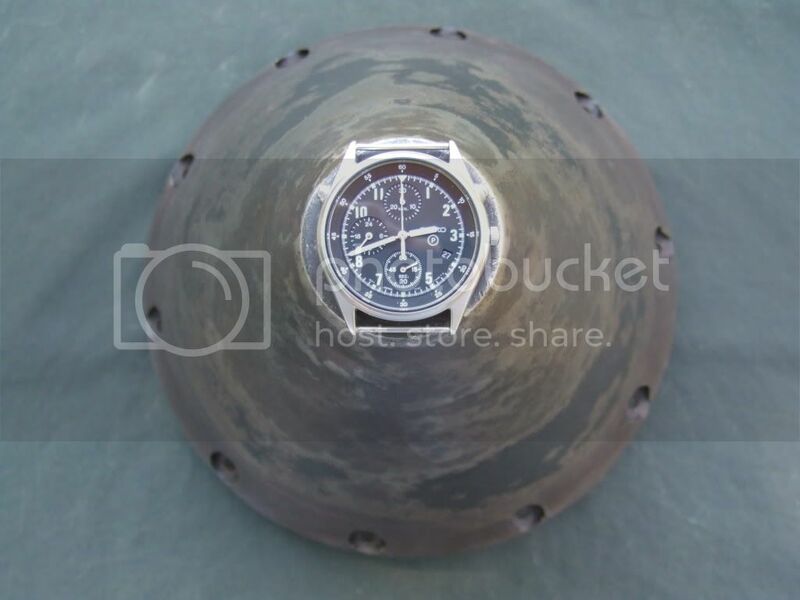 Lovely shots - especially the nose cone from the Jaguar drop tank! I notice yours has a black date wheel, rather than the white in the picture. 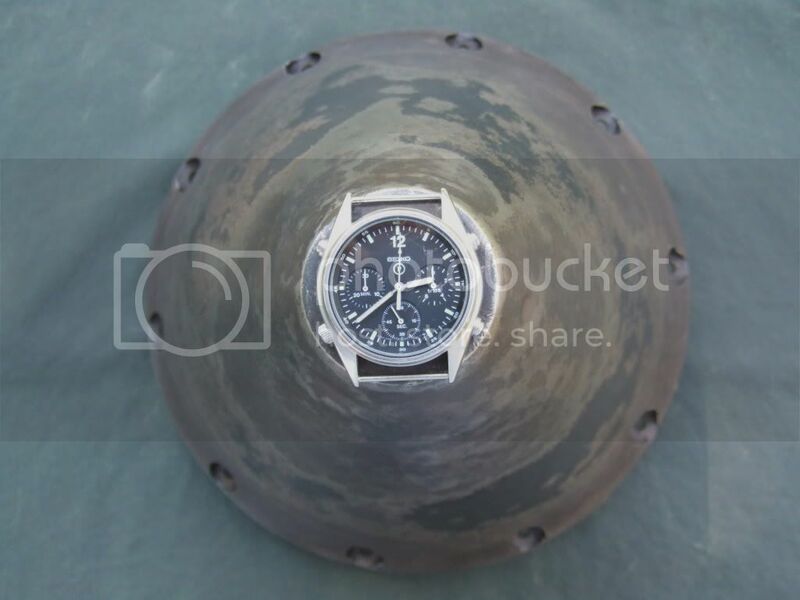 Do you have an email for the guy you got that grey Nato from? Looks very good. I have a similar one on my Smiths, but could do with a couple more (larger) ones. 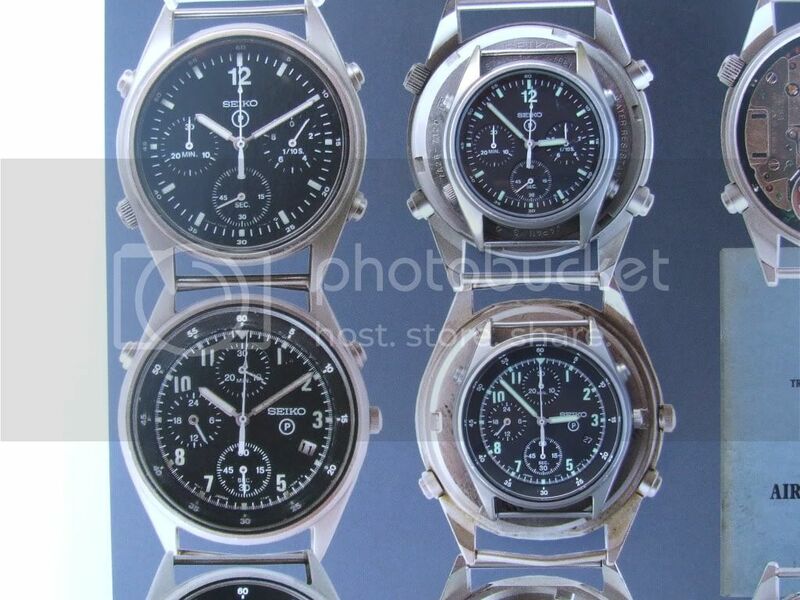 These watches are a bit over looked in my opinion, perhaps because they are relatively recent. 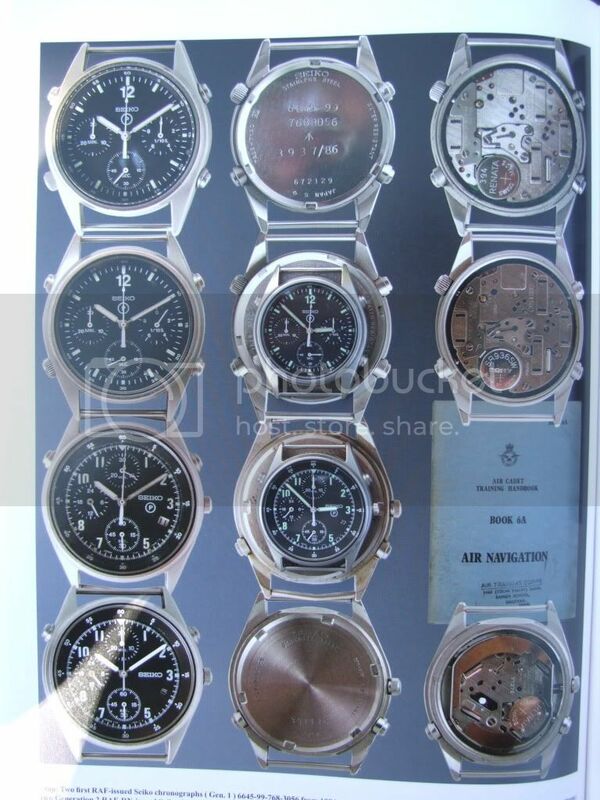 I think I prefer the 3-6-9 sub dial layout. I got myself a Gen 1 recently, after having been after one for a long time. I think its an absolute cracker! Got another 7A28 powered Seiko a few weeks later, as you say, the reseting hands are just so satisfying. I will dig out that email address for you Mat'. As for the photos, thanks to ATG I have had to do something no man should ever have to do - read an instruction booklet! As a result, I have discovered the macro button and wide angle lens settings on the camera. Martin's right about that Jaguar nose cone - makes a good bookend too.